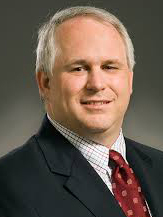 Scott Berceli is a clinical vascular surgeon, who uses vein bypass grafting to treat arterial occlusive disease. While this procedure is highly effective at re-establishing normal perfusion, the longevity of this treatment is compromised, with failure rates approaching 50% at one year. The primary cause of this failure is an accelerated hyperplastic response within the vein conduit, which results from the local biomechanical trauma that occurs from the high pressure, high flow environment of the arterial system. Berceli’s research goal is to unravel the signaling mechanisms that control this hyperplastic response and identify a targeted therapy that can be used to interrupt this process. While the field has been focused on single-molecule approaches, he took a broader look at this question and embarked on a systems-based understanding of the problem, seeking to develop the large-scale data sets and computational models that would be required to define this highly dynamic and redundant system. Parallel to this effort, he embarked upon a ten-year clinical study to examine the complexities of human vein bypass grafting. Berceli has integrated high resolution imaging, computational biomechanical modeling, and high-throughput genomics to create an unparalleled clinical data set following vein bypass grafting. Through this data set, he was able to examine the time-dependent interactions between local biomechanical forces and systemic inflammation as they dictate physiologic or pathologic adaptation within the vein graft. Having completed follow-up within the last year, Berceli is at the front-end of fully exploring these complex interactions.